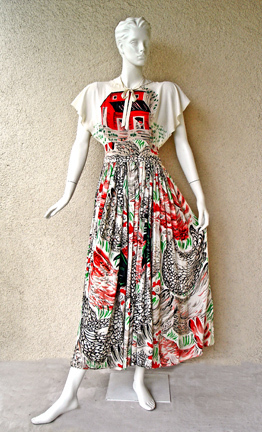 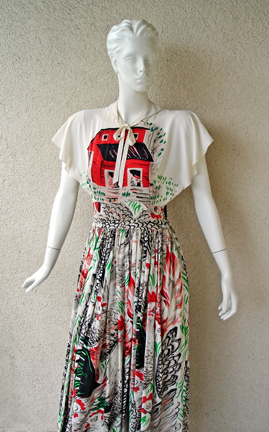 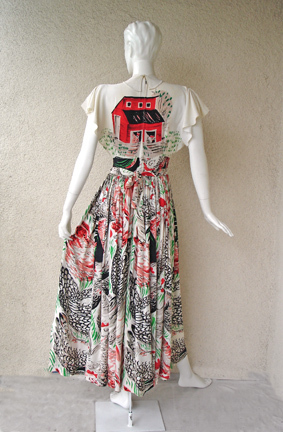 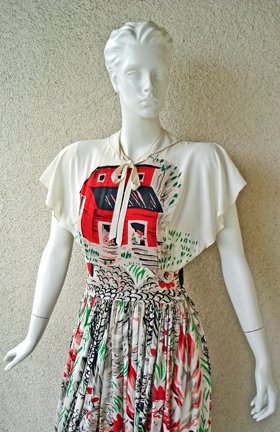 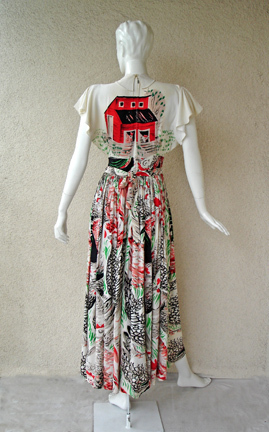 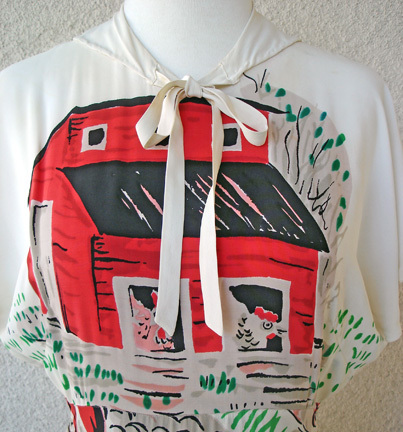 Circa mid 1940's Adrian Original with draped cut-in-one sleeves, jewel collar neckline with tie and full circle skirt sewn at waistband and attached tie belt; fashioned of ivory silk printed on the front and back bodice with occupied red hen house and on skirt with finely feathered rooster in variegated sizes and positions in red, pink, black and green. 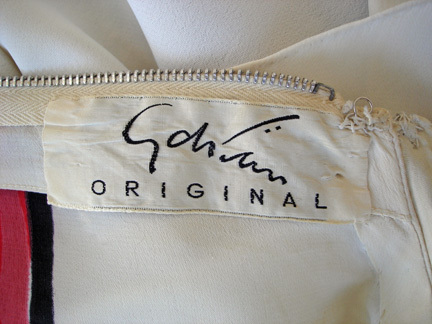 All original artwork by Adrian. 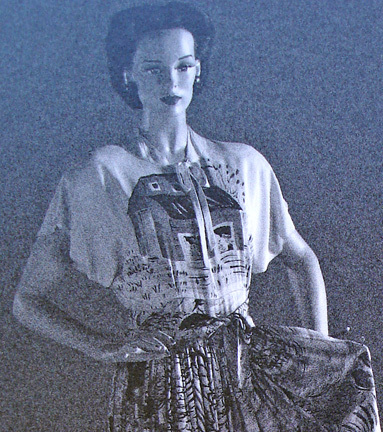 Known as "The Egg and I" print from his 1947 spring-summer collection and documented on page 153 in the book "Adrian" by Christian Esquevin. 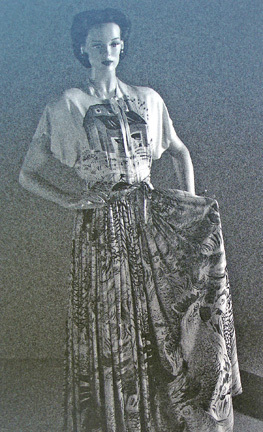 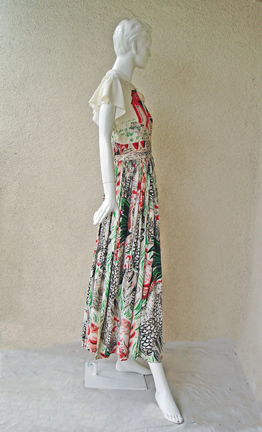 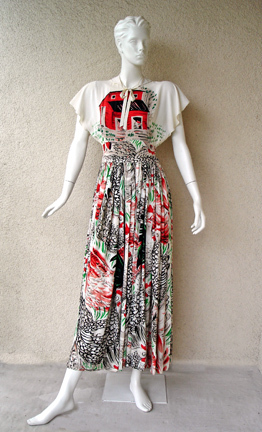 Adrian was known for designing limited theme fashion collections such as Animals and Americana to name just a few. 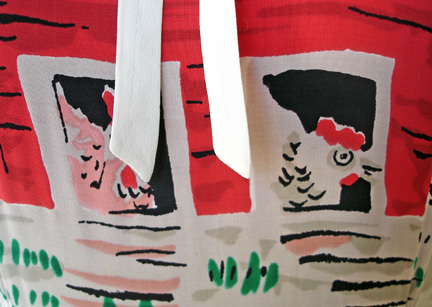 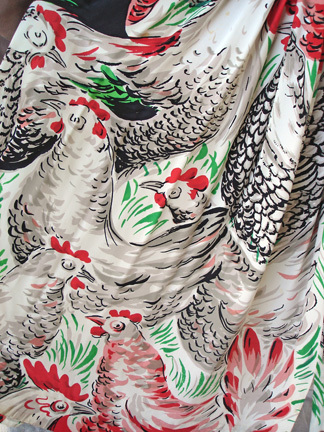 Approximately only 10 dresses were made in the Henhouse theme, which makes this quite rare.